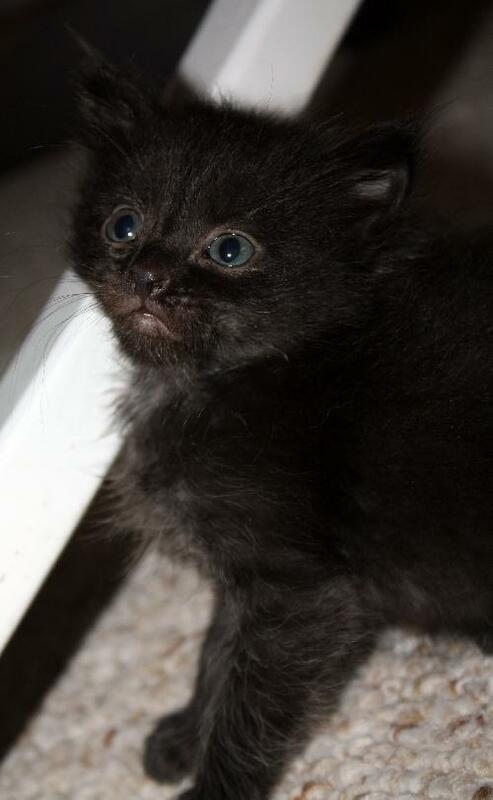 BabyCakes came into rescue almost 2 weeks ago at about 3 weeks old but weighing only 5 ounces. Alani, one of our momma cat's in foster care, is letting BabyCakes nurse a couple times a day with her 3 month old kittens: Muffin, Cookie and Danish. BabyCakes is a smart, spunky little girl holding her own with Alani's kittens, toddling over to use the litter box, and being bottle fed every 4 hours to supplement nursing since Alani's kittens are older and not nursing as much recently. She has already almost tripled her weight in less than 2 weeks, weighing in at 12 ounces yesterday. 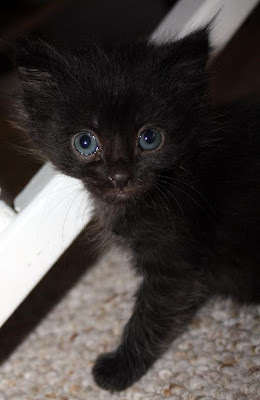 A big thanks to Alane, one of our Feline Rescue volunteers, for taking some very sweet photos of BabyCakes! ShelterChallenge.com is back! An easy way to help raise money for the kitties, VOTE daily for Feline Rescue. Help us win one of the top prizes ($7k, $5k, and $3k)! You can vote daily through May 5th. 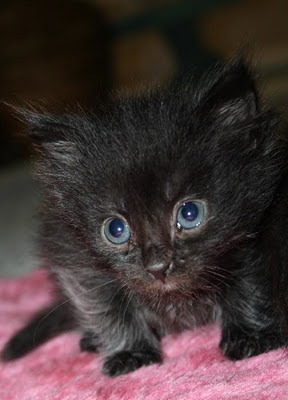 Feline Rescue is a non-profit 501(c)(3) organization. All donations are tax-deductible to the fullest extent allowed by law. Sundays, 11 a.m.- 1 p.m.
Saturdays, 11 a.m. - 1 p.m.
Saturdays, 2 - 4 p.m.
Saturdays, 10:30 a.m. - 12:30 p.m. Check out our available cats! 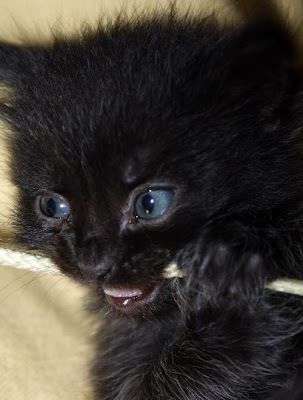 Welcome to the Feline Rescue blog! This is a place for sharing stories and information about the cats and people of Feline Rescue. If you have a story or adoption update you'd like to share, please let us know. We love to see and hear how our alumni are doing in their new homes! Click here to watch this wonderful video about the cats and people of Feline Rescue! Happy Halloween from Oscar Pepper! Cecilia, you're breaking my heart!